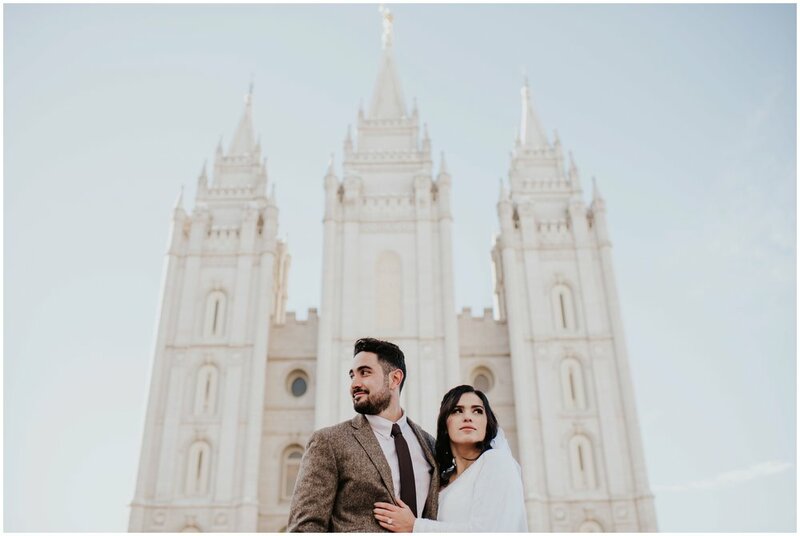 There is nothing like flying into Utah in December and I was so pumped to fly out for Robyn & Nick’s wedding at the Salt Lake City Temple! Even though I’m not a huge fan of the winter, It is my absolute favorite time to fly. I hate leaving my husband in Washington but oh man I live for the freaking views. I’ll never get tired of seeing the snow capped mountains and if you haven’t been yet put it on your bucket list because it’s so worth your while! Robyn and Nick got married on a freezing cold December day but they both embraced the elements with smiles on their faces and didn’t mind making out in the snow. They have electric personalities, are so down to earth, and were just so stoked to be married! I love photographing happy couples and I’m so glad that I got to spend the day with them! Enjoy a few of my favorites from their big day + leave some love in the comments for them!